The original title of this post was For this you won a Nobel (Memorial) Prize? But see sad news at bottom. A Beautiful Mind: Nash went to see von Neumann a few days after he passed his generals? He wanted, he had told the secretary cockily, to discuss an idea that might be of interest to Professor von Neumann. It was a rather audacious thing for a graduate student to do. Von Neumann was a public figure, had very little contact with Princeton graduate students outside of occasional lectures, and generally discouraged them from seeking him out with their research problems. 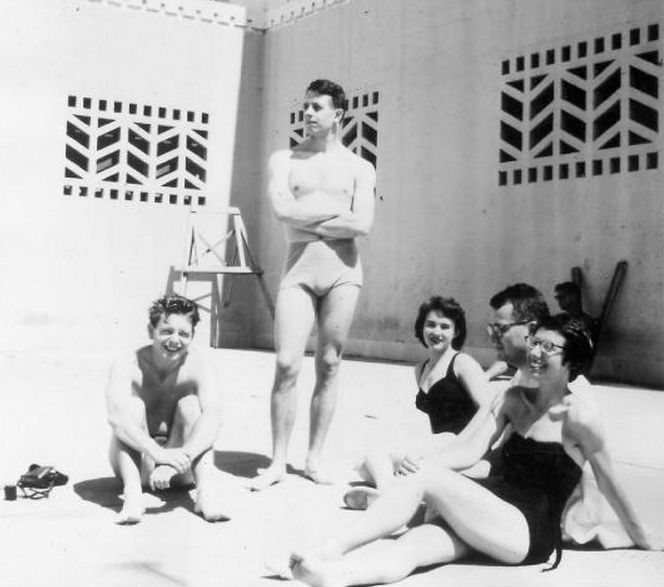 But it was typical of Nash, who had gone to see Einstein the year before with the germ of an idea. Von Neumann was sitting at an enormous desk, looking more like a prosperous bank president than an academic in his expensive three-piece suit, silk tie, and jaunty pocket handkerchief.  He had the preoccupied air of a busy executive. At the time, he was holding a dozen consultancies, "arguing the ear off Robert Oppenheimer" over the development of the H-bomb, and overseeing the construction and programming of two prototype computers. He gestured Nash to sit down. He knew who Nash was, of course, but seemed a bit puzzled by his visit. See also What use is game theory? Compare the excerpt below about Nash's Embedding Theorem (also of interest: Theorem proving machines). John Conway, the Princeton mathematician who discovered surreal numbers and invented the game of Life, called Nash's result "one of the most important pieces of mathematical analysis in this century." In writing this post, I googled "a beautiful mind" to find a link to the Amazon page. I was shocked to find a news article about the death of John Nash and his wife Alicia (both are in the photo above) yesterday in a car accident! May they rest in peace. I am surprised by the story about von Neumann. My understanding is that at the end of his life he cared only about applications and judged math by what it accomplished, not its sophistication as mathematics. But presumably vN was not of this mind at the time (cf his book with Morganstern). I wouldn't have been surprised if von Neumann had condemned economics, a decade after his book, but that's not what he did. to become Emperor of Antarctica." In my experience, game theory gives me a norm against which to estimate people's deviation.